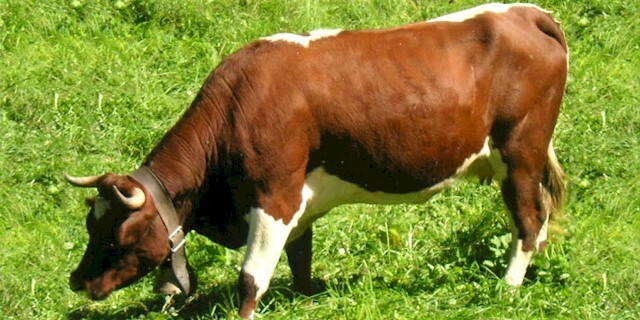 Evolene cattle have short but strong legs and a short and broad head. Both bulls and cows usually have horns, and their horns are very strong and long. The average height of the mature bulls is about 130 cm. And the cows are smaller than the bulls with an average height of 115 to 125 cm. The cows on average weight around 400 to 500 kg. And average live body weight of the mature bulls varies from 600 to 700 kg.